Funny video for children about cars will amuse all our viewers! 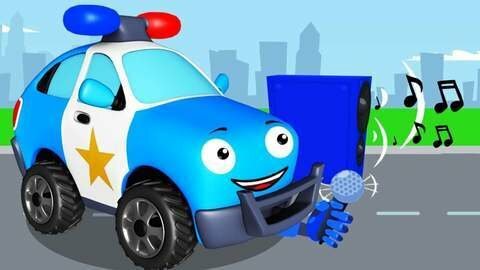 Blue Police Car loves to sing. He even bought a microphone and a speaker in a music store. But the Monster Truck and other cars are not happy with such singing. Continue to watch online for free the best car cartoon for kids to find out how this story will end!